Oh dear, I've got a post with the word "Christmas" in the title and it's still only November! To be fair, candles are not solely a Christmas thing for me. I was never particularly interested in them for a long time, but this winter I've suddenly started using lots! I'm a nostalgic for things like real paper books and physical music collections (see this post for more!) so candles seem to fit in with that well. I love the warm, flickering light they give off, and I choose lots of scented ones which make my bedroom smell wonderful! I recently picked up some more festive scents, among others. I usually have 3 candles in my room, in the various holders I have. The first is this little white one, given to me as a gift, which makes patterns when the light shines through the holes. 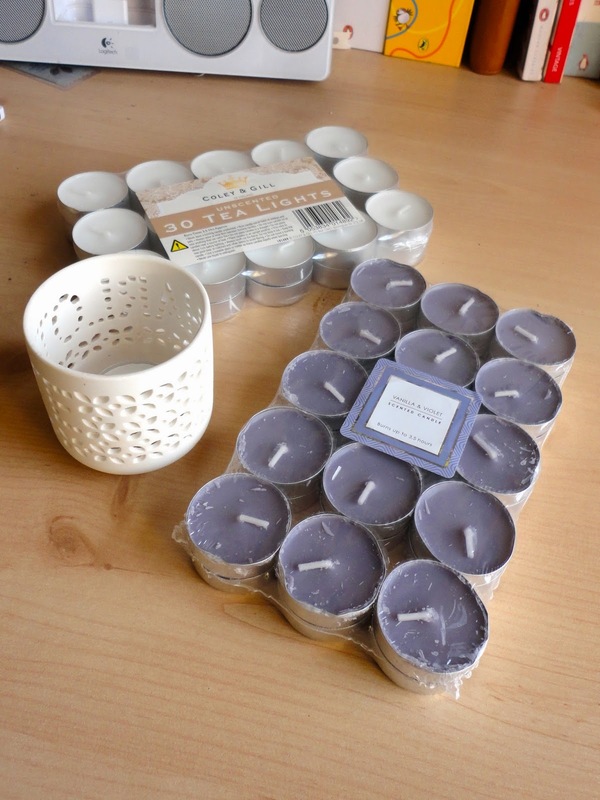 It's best suited to tea lights, and I usually just go with white, unscented ones, as they burn out so quickly that I can't spend loads on nice scented ones all the time. However, I was looking at the candles in Primark and decided to get these Vanilla & Violet scented purple ones, since they were pretty cheap, and I thought I'd treat myself to some more nice scents for around Christmas time. I got this hurricane jar from John Lewis to hold larger candles, as I used to have this huge blueberry one, given as a gift, and needed something to put it in. The glass means you get the flickering flame effect, rather than the glow my smaller ones make. 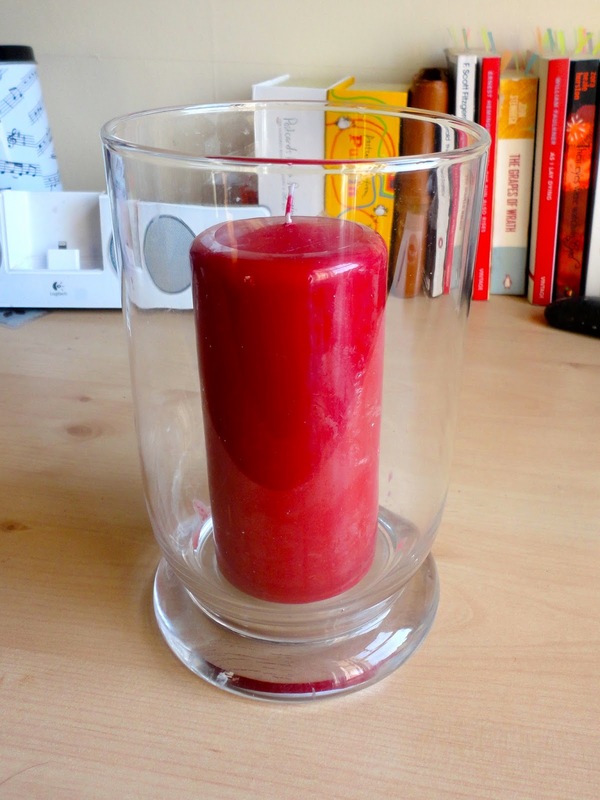 Also, I prefer coloured candles for this one, since you can see through it. This red one should see me through the Christmas lead-up, since it has an appropriate winter berry scent. 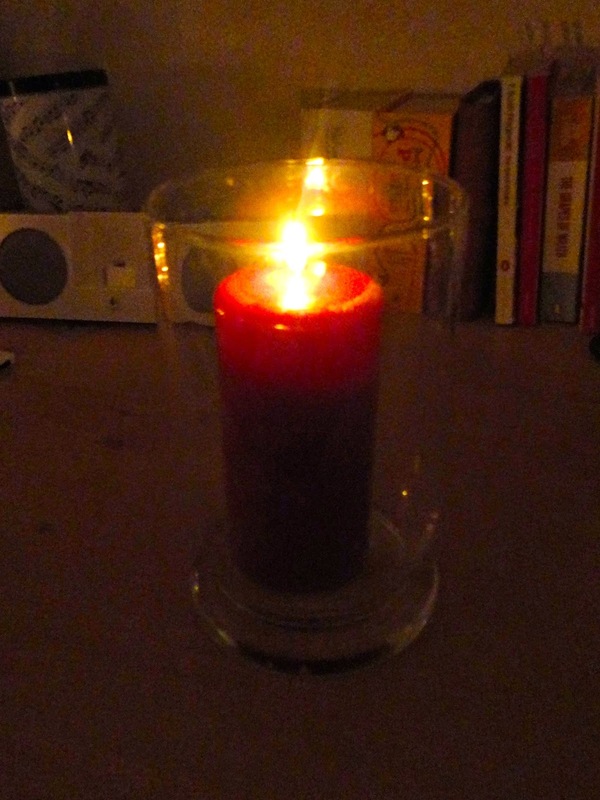 And the Serenity black cherry coulis one, while less festive, smells amazing, even though I haven't lit it yet. It's more for after Christmas, but may get lit before if I use up the red one. The last candle holder was another gift, and I love the quirky, handmade fabric casing around it (there's a glass inside for the candles of course!) 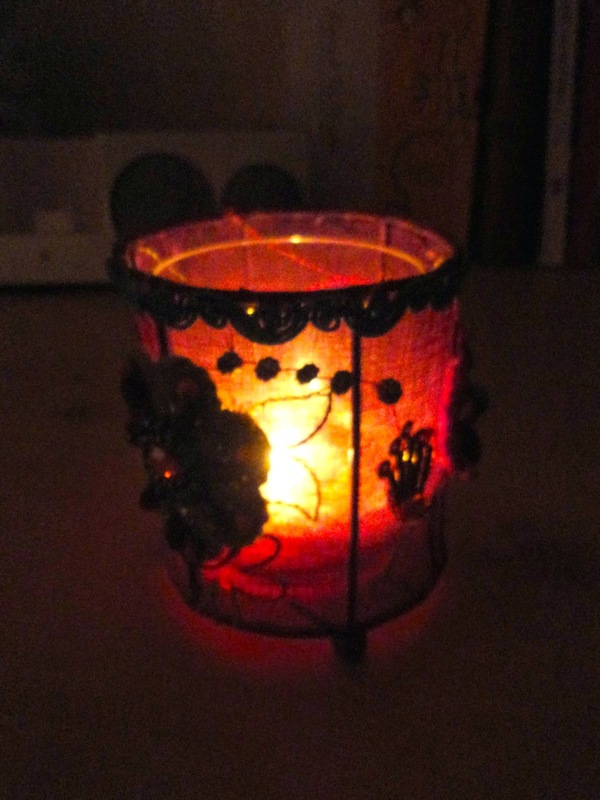 which looks pretty even in the daylight, with the candle unlit. I've found votive candles are the best size for this, and it's easy enough to clean out the wax from the glass when they're done. 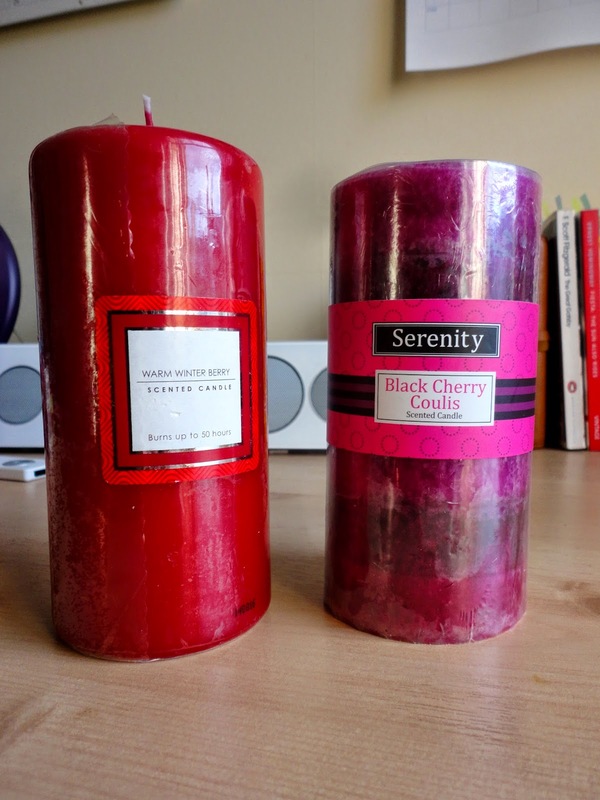 Since I have the same scent for a long time with the other candles, I like to keep mixing up scents with these, so Yankee has good offers for buying several different ones at once. Lake Sunset is a particular favourite of mine from them, but I think Cranberry Ice will be nice for nearer Christmas. I also got these Christmas candles from Primark (they don't have any other scent description), which I may light as they are, since they have nice patterned glass, but could also fit in this holder.